Double the value* in this post! First of all, here's the highly anticipated** and critically acclaimed*** RPG Ghosthackers, released into the wild today in anticipation of the new Ghostbusters film that hits theaters this week. GH is (another) hack of David Black's excellent The Black Hack, with inspiration from the old West End Games Ghostbusters RPG. It's as unlicensed as a proton pack and absolutely free in digest form (ready for booklet printing!). Click here for the PDF from Google Drive! EDIT: And now, there's a version of the game featuring art by my buddy Tim Paul. You can click here to get it from RPGNow! Slimer has undergone a surprising amount of character development for an ectoplasmic entity. While gaining recognition as one of the Ghostbusters' first adversaries, he goes on to become essentially a pet, and later a true member, of the team. Officially, he is allowed to freely roam as a part of the Ghostbusters' paranormal research. As his name suggests, Slimer is known for the pale green ectoplasmic goo he leaves on solid matter upon moving through it. He is able to physically interact with such material at will. 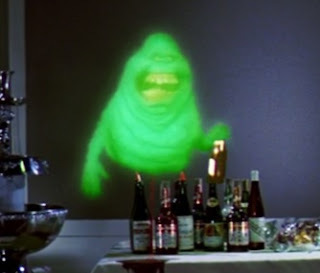 Usually, only supernatural means such as spells or magical weapons are able to harm Slimer, although some technologies such as proton packs also have this capability. Slimer has a voracious appetite. * Still not actually a lot of value. I like what you've done with Ghosthackers, a clever blend of Black Hack and the slick old Ghostbusters game. Thanks man! I hope it at least inspires some positive reflection on the beauty of those two games! 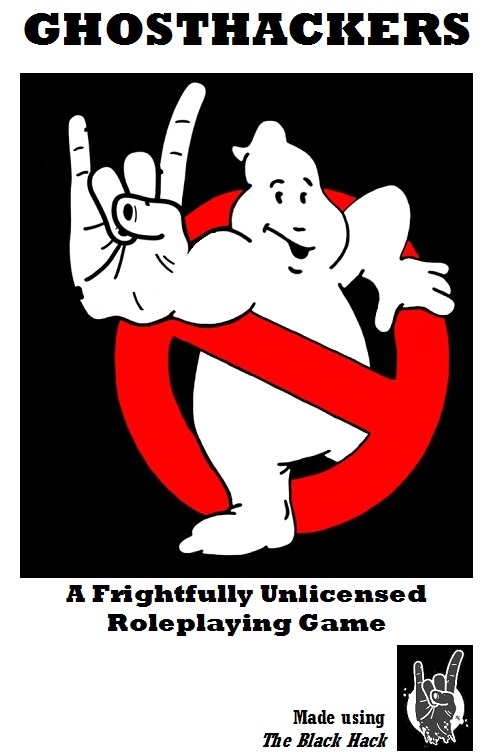 Does seem like it would fit well...the WEG Ghostbusters RPG is so perfect for one-shots...and really, I think TBH would be too! Excellent job sir! I'm making sure to share this with my Ghostbusters loving friends. Many thanks! I hope they'll get a smile out of it. Hats off to you, sir. I think I've found this weekend's game. Thanks! Please let me know how it goes if it hits the table! I watched the new flick today and Slimer's scenes made me smile. As a side note I've had a million Ghosthackers ideas this weekend. Hope to test things out this coming week. Thank you sir! I like Slimer a lot but find it interesting that he doesn't receive more derision. Seems like he could easily be viewed as the Jar Jar of the Ghostbusters world.